Few could disagree on the beneficial aspects of sharing resources within communities or across municipalities, but does the sharing economy in its current form represent a movement that can challenge unjust power structures and pave the way to a better world? As the sharing economy receives increasing attention from the media and public, a valuable debate is beginning to emerge around its overall importance and future direction. There is no doubt that the emergent paradigm of sharing resources is set to expand and further flourish in coming years, especially in the face of continuing economic recession, government austerity and environmental concerns. Almost everyone recognises that drastic change is needed in the wake of a collapsed economy and an overstretched planet, and the old idea of the American dream is no longer tenable in a world of rising affluence among possibly 9.6 billion people by 2050. Hence more and more people are rejecting the materialistic attitudes that defined recent decades, and are gradually shifting towards a different way of living that is based on connectedness and sharing rather than ownership and conspicuous consumption. ‘Sharing more and owning less’ is the ethic that underlies a discernible change in attitudes among affluent society that is being led by today’s young, tech-savvy generation known as Generation Y or the Millennials. However, many sharing pioneers also profess a big picture vision of what sharing can achieve in relation to the world’s most pressing issues, such as population growth, environmental degradation and food security. As Ryan Gourley of A2Share posits, for example, a network of cities that embrace the sharing economy could mount up into a Sharing Regions Network, then Sharing Nations, and finally a Sharing World: “A globally networked sharing economy would be a whole new paradigm, a game-changer for humanity and the planet”. In such a light, it behoves us all to investigate the potential of sharing to effect a social and economic transformation that is sufficient to meet the grave challenges of the 21st century. 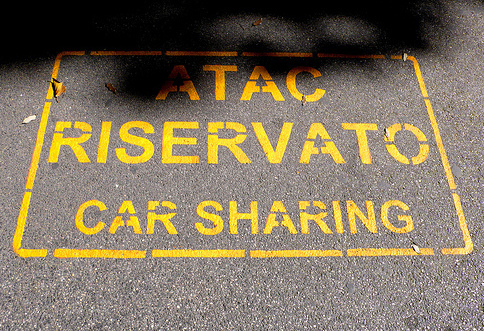 Few could disagree on the beneficial aspects of sharing resources within communities or across municipalities, but some controversy surrounds the broader vision of how the sharing economy movement can contribute to a fair and sustainable world. For many advocates of the burgeoning trend towards economic sharing in modern cities, it is about much more than couch-surfing, car sharing or tool libraries, and even holds the potential to disrupt the individualist and materialistic assumptions of capitalism. Other proponents see the sharing economy as a path towards achieving widespread prosperity within the earth’s natural limits, and an essential first step on the road to more localised economies and egalitarian societies. But far from everyone perceives that participating in the sharing economy, at least in its existing form and praxis, is a political act that can realistically challenge consumption-driven economics and the culture of individualism. Various commentators argue that the proliferation of new business ventures under the umbrella of sharing are nothing more than “supply and demand continuing its perpetual adjustment to new technologies and fresh opportunities”, and that the concept of the sharing economy is being co-opted by purely commercial interests – a debate that was given impetus when the car sharing pioneers, Zipcar, were bought up by the established rental firm Avis. The author Evgeny Morozov, writing an op-ed in the Financial Times, has gone as far as saying that the sharing economy is having a pernicious effect on equality and basic working conditions, in that it is fully compliant with market logic, is far from valuing human relationships over profit, and is even amplifying the worst excesses of the dominant economic model. Although it is impossible to reconcile these polarised views, there are good reasons to query which direction the emerging movement for sharing will take in the years ahead. As prominent supporters of the sharing economy recognise, like Janelle Orsi and Juliet Schor, it offers both opportunities and reasons for optimism as well as pitfalls and some concerns. On the one hand, it reflects a growing shift in our values and social identities as ‘citizens vs consumers’, and is helping us to rethink notions of ownership and prosperity in a world of finite resources, scandalous waste and massive wealth disparities. On the other hand, critics are right to question whether the sharing economy in its present form is posing a challenge to unjust power structures or instigating a citizens movement that represents the kind of radical changes we need to make the world a better place. Instead of reorienting the economy towards greater equity and a better quality of life, as proposed by writers such as Richard Wilkinson, Herman Daly, Tim Jackson or Andrew Simms, it is arguable that many existing forms of sharing via peer-to-peer networks are at risk of being subverted by conventional business practices. This is by no means an inevitable outcome, but unless economic sharing is promoted in relation to human rights and concerns for equity, democracy, social justice and sound environmental stewardship, then the various claims that sharing is a new paradigm that can address the world’s interrelated crises are without substantiation. If we look at sharing through the lens of just sustainability, however, as many individuals and groups like Shareable are beginning to do, then the true possibilities of sharing resources within and among the world’s nations are vast and all-encompassing: to enhance equity, rebuild community, improve well-being, democratise national and global governance, defend and promote the global commons, even to point the way towards a more cooperative international framework to replace the present stage of competitive neoliberal globalisation. We are not there yet, of course, and the popular understanding of economic sharing today is clearly focused on the more personal forms of giving and exchange among individuals or through online business ventures. But the fact that this conversation is now being broadened to include the role of governments in sharing public infrastructure, political power and economic resources within countries is a hopeful indication that the burgeoning sharing movement is moving in the right direction. Already, questions are being raised as to what sharing resources means for the poorest people in less developed nations, and how a revival of economic sharing in high-income countries can be spread globally as a solution to converging crises. It may not be long until the idea of economic sharing on a planetary scale - driven by an awareness of impending ecological catastrophe, life-threatening extremes of inequality, and escalating conflict over natural resources - is the subject of every dinner party and kitchen table conversation.